The City is committed to regional initiatives that improve the quality of life for the more than 70,000 residents in the Greater Brighton area. 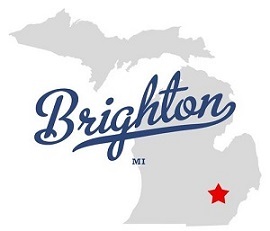 Located at one of the nation's busiest transportation intersections for national and international commerce - U.S. 23 and Interstate 96—Brighton is 45 miles west of Detroit, 35 miles south of Flint, 15 miles north of Ann Arbor and 45 miles east of Lansing, Michigan. Brighton offers many cultural, recreational and social activities. State and county parks are located within a few minutes' driving distance, as are many beautiful lakes, natural wetlands and golf courses. The state's Brighton Recreation Area alone comprises nearly 5,000 acres of woods, meadows and lakes.